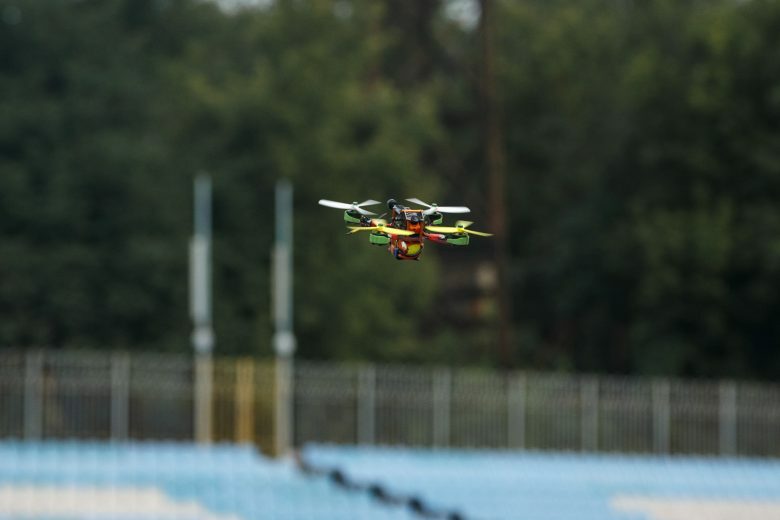 On the rainy weekend of September 15-16, Noosphere held their latest Copter Race — an international FPV drone-racing championship in Dnipro. 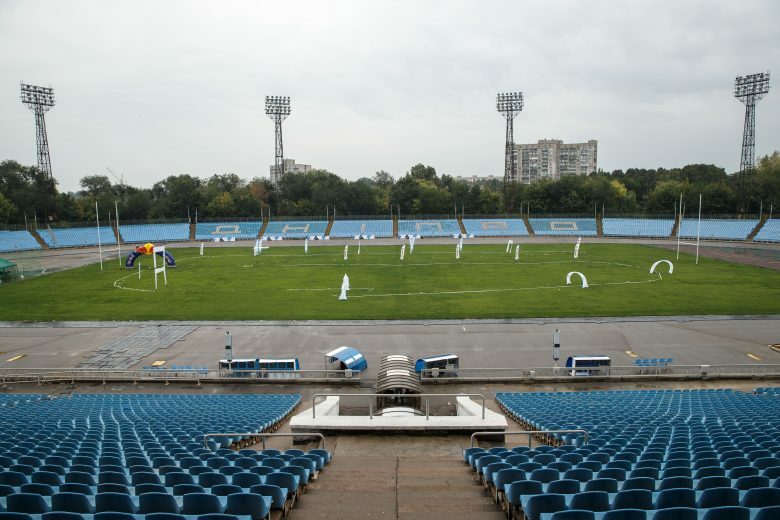 The event was meant to take place at the Kamenka stadium, but the location was changed to the Meteor stadium due to radio interference. 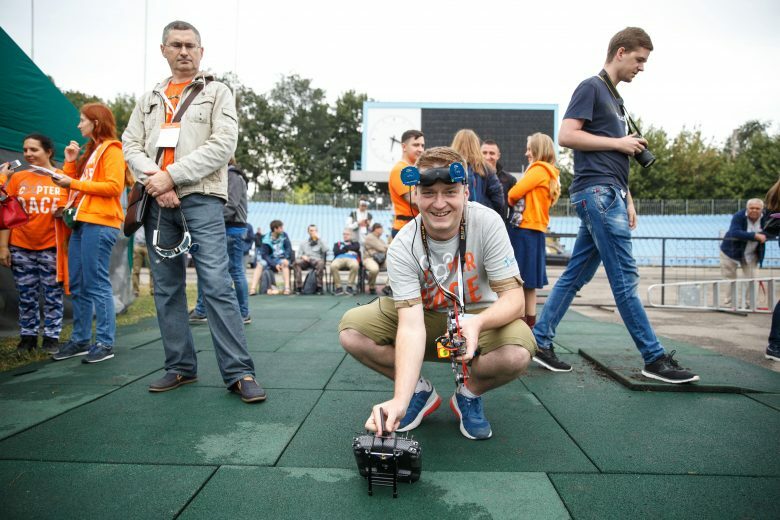 It was the second time Noosphere has held Copter Race on the legendary sports arena (check out the article about 1st Copter Race on the Meteor stadium here). Also, Copter Race 2018 was the second time Noosphere has organized a drone-racing championship in association with the FAI — the World Air Sports Federation. – Freestyle — a stunt flying competition. 27 pilots from Ukraine, 3 pilots from Latvia and 2 pilots from Italy took part in the event. Dmitry Starostin performed as a national-level judge and Oscar Chinello from Italy performed as the FAI international-level judge. Oscar Chinello – an international judge from FAI. Both days of the event faced schedule changes and delays due to rainy weather. Nevertheless, the pilots briefing and all the training and qualifying flight happened on Saturday, September 15. The Freestyle competition was moved to the next day. Pilots admitted that the track became more advanced this year. Ukrainian pilots faced an unusual obstacle for the races in their country: the gravity hall. Noosphere organizers also managed to test the eNavigator — an updated tracking system for drone racing. The system successfully unites drone movement tracking, timing and video-signal broadcasting. 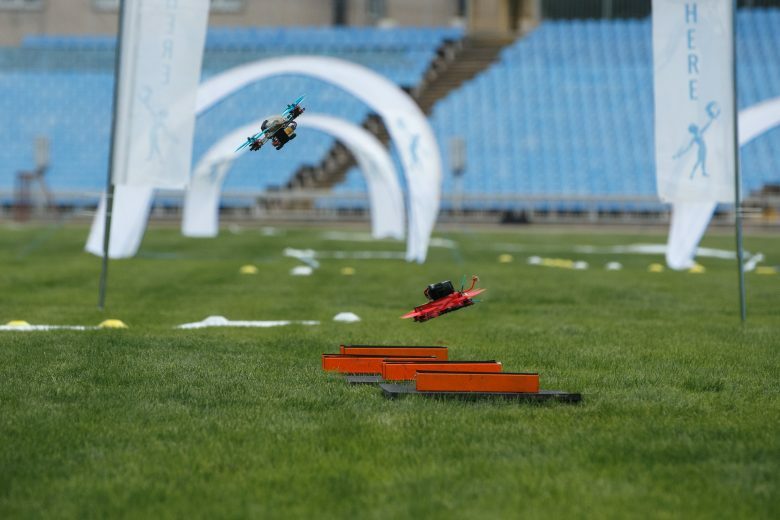 The eNavigator system will also be used to score the results of the drone-racing World Cup finals in China later this year. “The task was to compound various platforms that track the drone flight, share the video signal, transform the data in the readable format and broadcast the ratings and tables on the screen. Today our engineers performed great. ” – said Michael Ryabokon, the Copter Race director and Noosphere co-founder. Noosphere also organized a rocket building workshop for the youngest spectators: volunteers taught the young ones to handcraft and launch air models. Also, Noosphere Engineering School presented the student rocket, which was developed by the school’s students. Competitions on Sunday, September 16 started without training flights. The Ukrainian championship and the stage of a World Cup races begun as soon as weather allowed it. 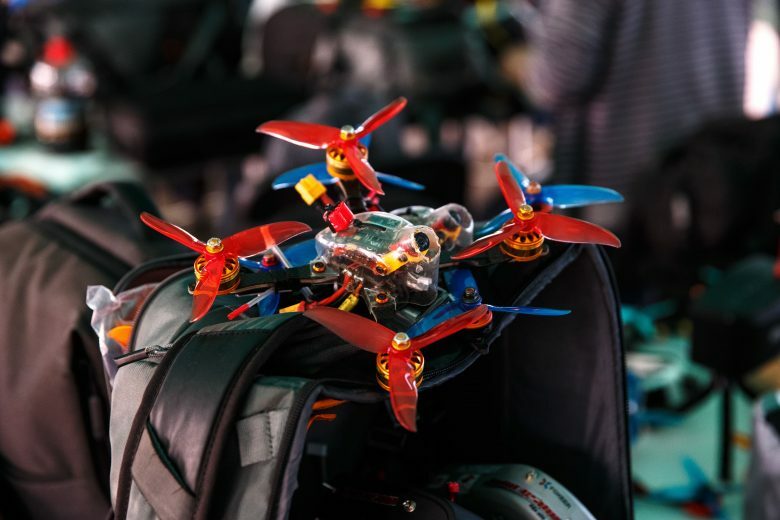 After the main race competitions finished, a dozen pilots managed to take part in Free Style — an aerial-stunt drone competition. Pilots took it quite seriously. A lot of dangerous stunts were performed, including flying over the stadium territory, rollercoaster loops and even flying between their pilot’s legs. 3 pilots from Latvia also formed a team and performed an exhibition aerobatic display with smoke tails on their drones. After the finish of the competition, pilots were awarded trophies, certificates and presents from Noosphere and Copter Race partners. Both foreign and local pilots noted the high level of organization, care and technical support of the event. 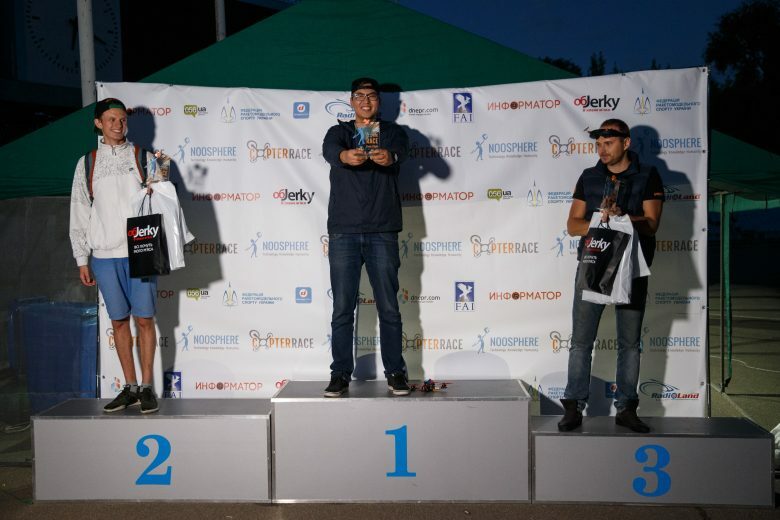 Mykyta Stadnichenko, Tomass Petersons, Kristaps Petersons, Giovanni Selvaggio and Matteo Strada will take part in the FAI Drone Racing World Cup finals in Shēnzhèn, China later this year. The eNavigator system will also be used to score the results of the competitions during the World Cup finals. Go check the FB-event and official Copter Race website for more details.